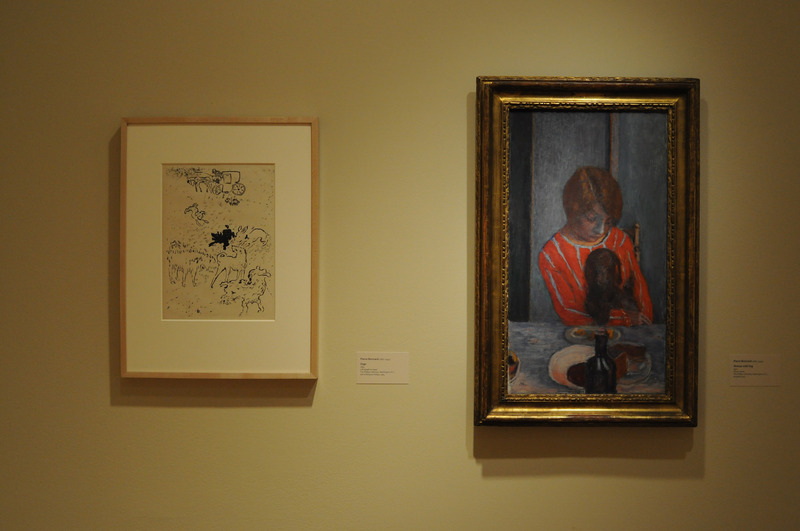 Installation view of two works by Pierre Bonnard in Snapshot exhibition. At left is Dogs, 1893. Lithograph on paper; 15 x 11 in. The Phillips Collection, Washington, D.C. At right is Woman with Dog, 1922, Oil on canvas; 27 1/4 x 15 3/8 in. The Phillips Collection, Washington, D.C. Photo: Joshua Navarro.